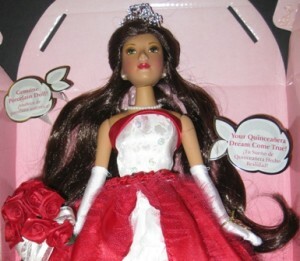 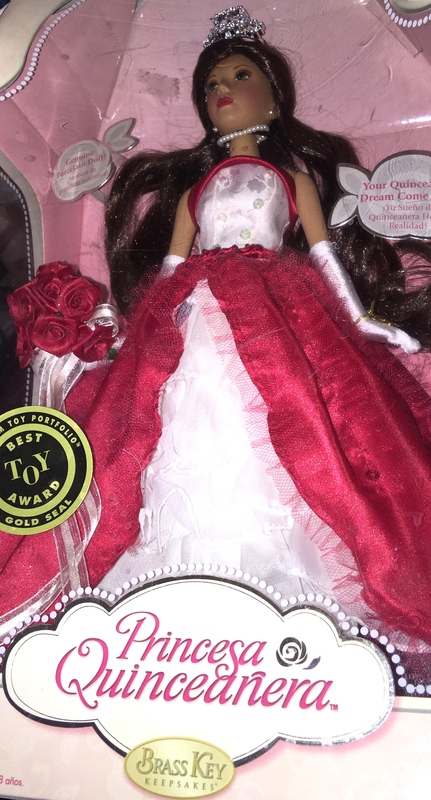 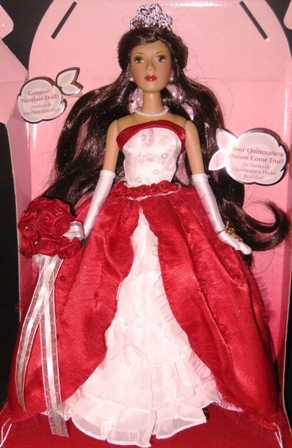 This is a porcelain doll that in addition to her red and white gown, wears a crown and other accessories. 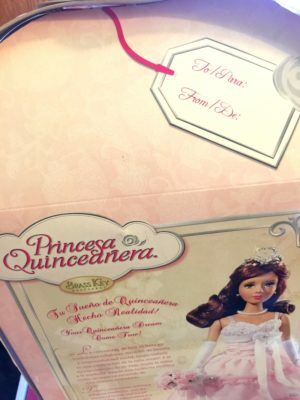 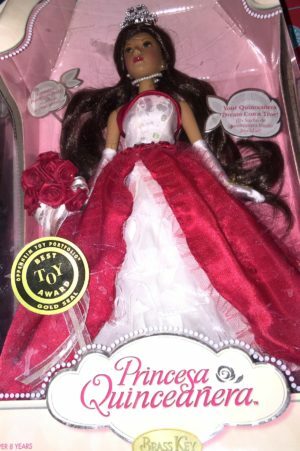 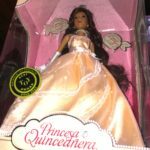 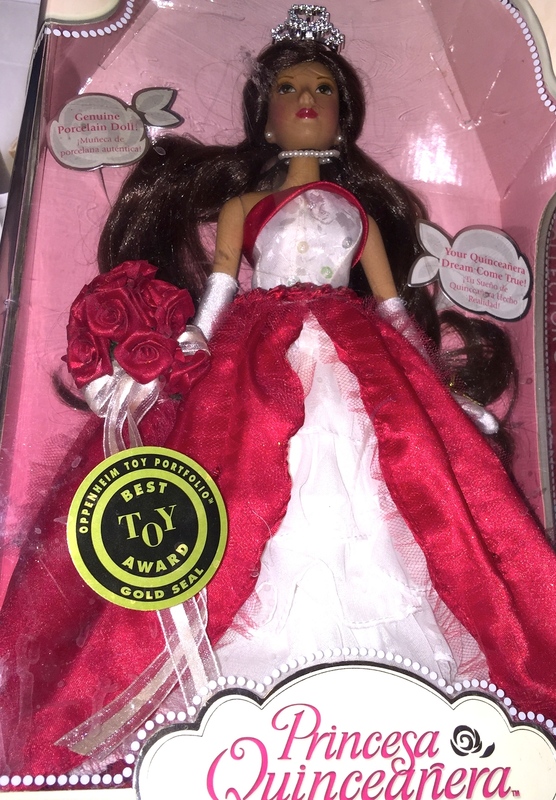 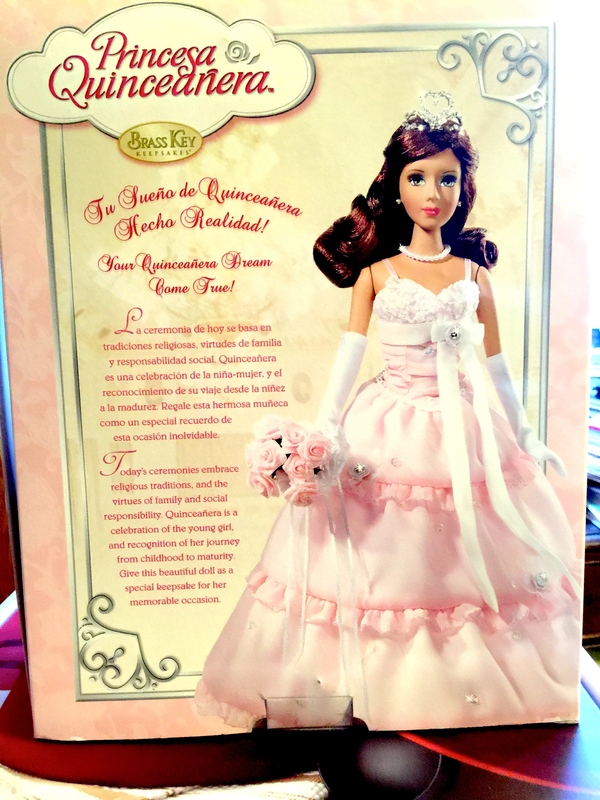 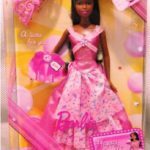 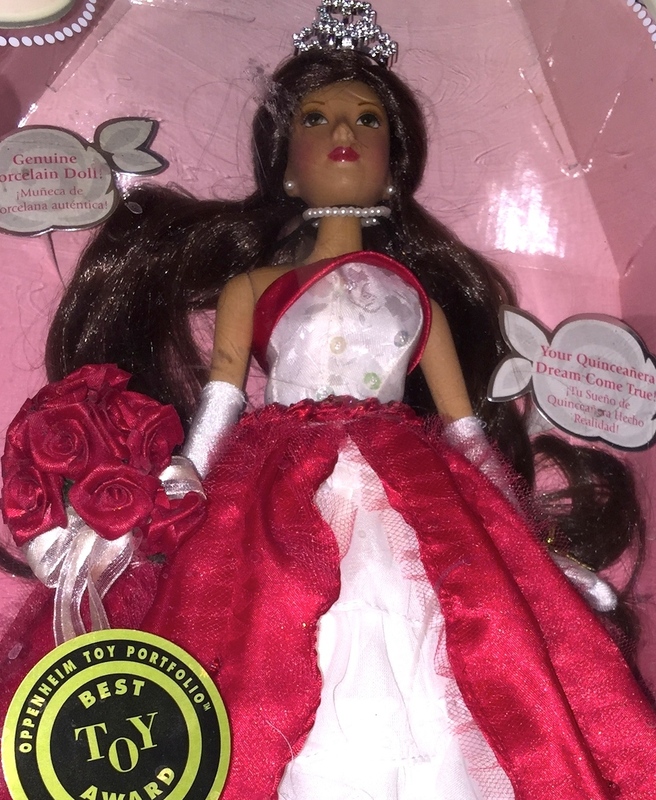 Princess Quinceanera Spanish dolls are coming of age dolls created to celebrate a girl’s sixteenth birthdays as she transitions into a young woman. 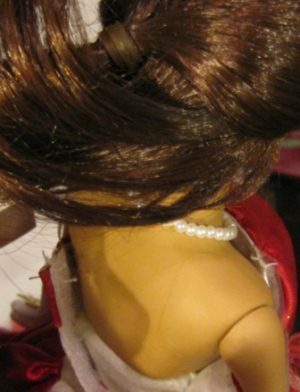 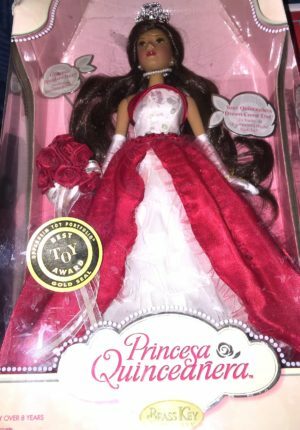 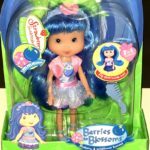 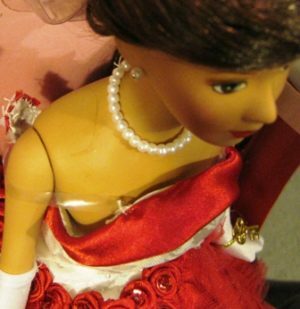 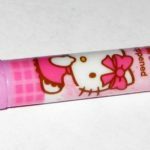 IMPORTANT NOTE: This princess doll has a small hairline crack on her back as shown in the accompanying photos for that area. 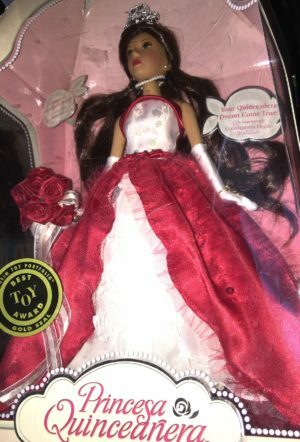 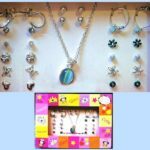 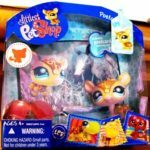 Examine this doll carefully before purchasing it for she is being sold “As Is”.